5 to 50lb pairs of Troy Urethane Dumbbells in 5lb increments, plus a rack to hold them all. Extra-thick handles for a comfortable grip and added protection against bending if dropped. Fully knurled and chrome plated. The handles are 5.51" long. 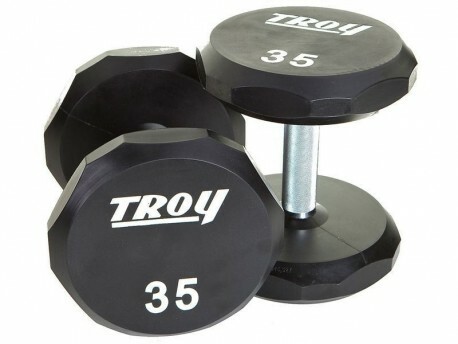 Have your dumbbells personalized with your gym or school's logo! See here for details. Troy offers a 5 year warranty against defects. 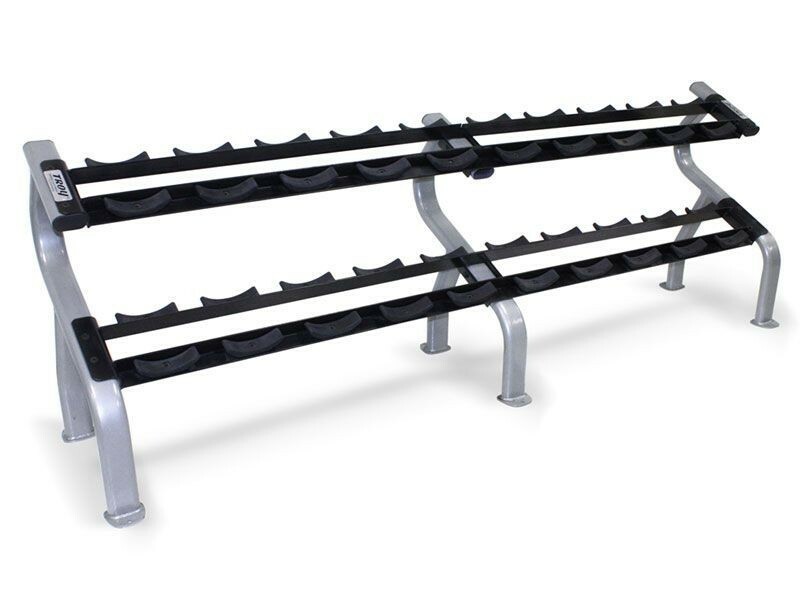 Feedback from our customers confirms that the saddles on this rack hold these Troy 12-sided dumbbells great. This rack keeps each dumbbell separate so they never put back into the wrong spot and are spread out well for multiple users to access.